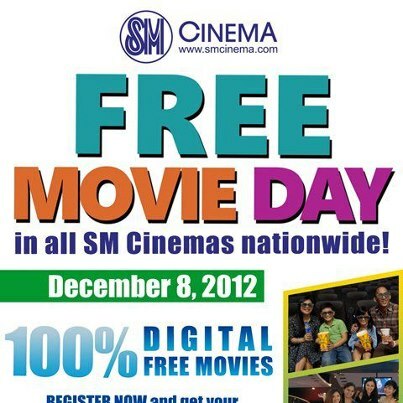 Free Movie on December 8 Courtesy of SM Digital Cinemas | Manny Vergel spaces out! 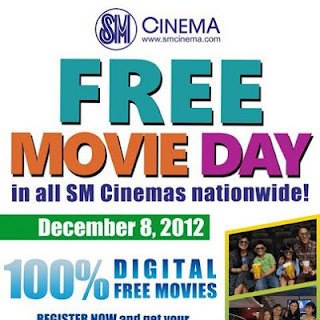 If you go to SM's e-Plus Facebook page from November 22 - December 6, 2012, you can avail this free movie pass to any digital theater of SM nationwide. Just click on the Free Movie Day app, like the page and complete the registration. The movies included in this event are: House at the End of the Street, Stolen, Deadfall, Step Up: Revolution, Himala and Supremo: The Andres Bonifacio Story. Frankly, none of the films interests me but nothing beats a free movie. Unfortunately, I have to be somewhere on this date. 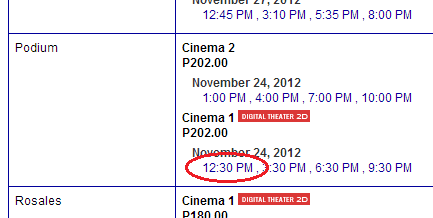 Knowing how Pinoys crave for free stuff, it is highly likely that SM Digital Cinemas will be jam-packed on that day. As a side note, I'll share how I bought my SM Cinema tickets online today. 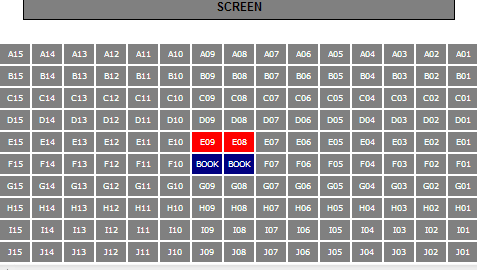 Ayala's SureSeats started online reservation and payment way before SM did, but I find their system not user-friendly. If you just reserve the tickets in SureSeats, you need to be at least 45 minutes before the movie starts or else they will sell your slot to someone else. If you don't want that hassle, you have to purchase the ticket which requires you to be registered first with MPass. MPass is an additional registration on top of your registration with Sureseats; again, another hassle. I don't know if they still operate this way, but that was my experience before. Fortunately, SM did not make the same mistake. All I needed was to register and purchase with my credit card. Unlike in sureseats, there's no need for additional steps, and no need to hurry up because you already bought the ticket. If it's your first time, register first. The screen is on top. Red ones are taken and gray ones are available. Select the credit card option (middle) and click Purchase! In the confirmation screen, it is worth noting to choose to receive your eTicket code in your mobile phone. This option is the least troublesome since you only need the text message sent to you to claim your tickets. Proceed with the credit card payment. 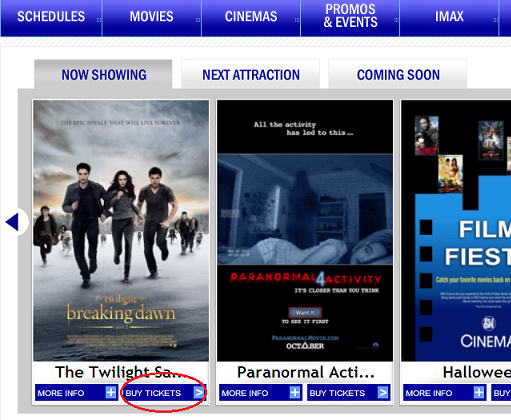 You will receive a text message afterwards and you can use this to claim your tickets in the selected cinema. That was relatively easy. The tickets were claimed successfully and the movie was great. No need to fall in line; it is a good life. Happy watching! What's the Best Thing About Being a Programmer? Apple's Black Friday Sale includes Philippines!